Welcome back to another week of Living Arrows, a place to link up your weekly photos of family life over at What the Red Head Said. I am actually travelling to Cambridge while I type this! Get me writing online, (why have I only just discovered ‘personal hotspot’ on my. phone?) in the car while Hubby drives! Hopefully it will mean next week I will have some lovely photos to share of our adventures. . 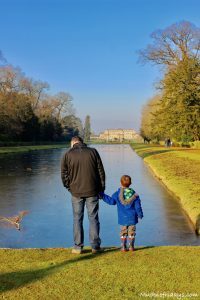 The reason for the trip away is that its Hubby’s Birthday so it seems apt that my favourite photo from last weekend is this one of Monkey and Daddy. 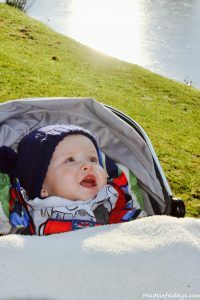 It was taken at Wrest Park when we went to visit the newest member of our family, my little nephew little mister J. We had a beautiful walk around the grounds, the light was perfect and although it was cold (and a little muddy!) it was really bright. Just what we needed to shake off the cobwebs and let Monkey run off some steam from the journey. 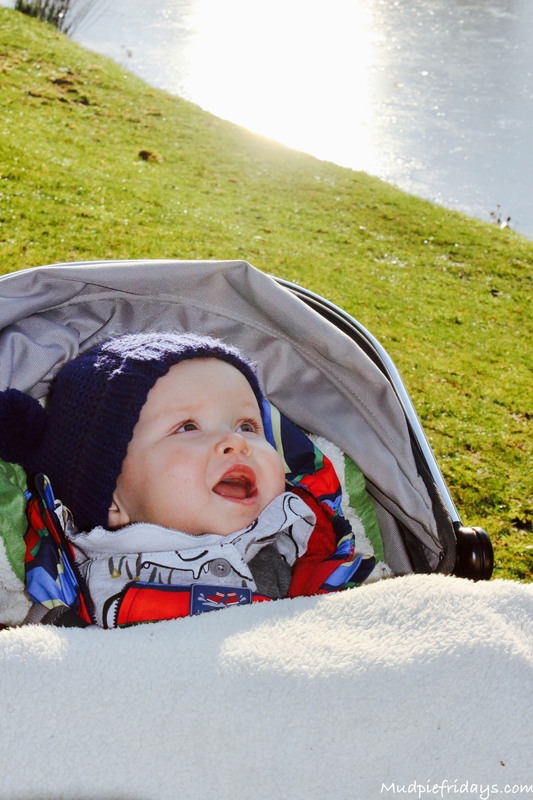 He was fascinated by the iced over lake, a little bit too fascinated for my liking..! There was various sticks and branches on the ice, which he wanted to reach, typical boy! Thankfully Hubby had the situation under control and spent some time explaining the dangers of an iced lake….